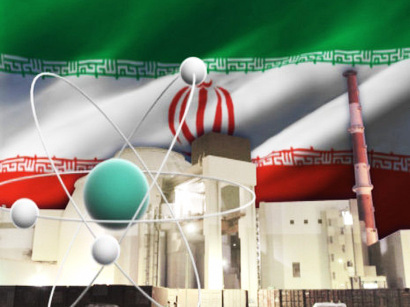 Iran is one of the 8 countries that have full circulation of nuclear fuel cycle, Mohammad Saeedi, former member of Iran's nuclear negotiating team and executive director of the Islamic Republic of Iran Shipping Lines (IRISL Group), told Tasnim News Agency, Trend reports. According to Saeedi, there are no technical problems for the development of Iran's nuclear knowledge. "In the nuclear field, Iran is the only country in the region to own a 1,000-megawatt nuclear power plant. This station is now fully regulated by the Iranians," he said, adding that Iran managed to create a full cycle of nuclear fuel. Thus, the country managed to convert yellow cake to UF4 (Uranium tetrafluoride) and UF (Uranium hexafluoride), producing 3.5-5 percent uranium. This uranium is used in light-water reactors. "As for the 20 percent enrichment of uranium, in general, there are no technical problems for the development of Iran's nuclear knowledge. Iran managed to do so when it wanted to produce 20 percent of uranium," he said.